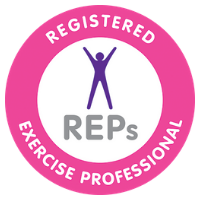 • Name, address, contact number, occupation, health status, medical conditions, medication; used for Energy Therapy Treatment Pre-consultation, Reiki Teaching, Mastering your Mind Course, Mastering your Vibe Chakra Course and Mastering your Yoni Course. I will not share your information with any other third parties, the exception being Law Enforcement Agencies in connection with investigation, prevention of lawful activity. 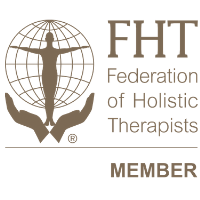 As a full member of the Federation of Holistic Therapists, I am required to abide by their regulations and as such copies of my records will need to be obtainable up to 10 years post your final treatment for Energy Therapy Treatments and any Exercise Prescription. Emma Gholamhossein will use all reasonable efforts to secure your personal data; in using this site you acknowledge that the use of the internet is not entirely secure and for this reason Emma Gholamhossein cannot guarantee the security or integrity of personal date which is transferred from you or to you via the internet. Under the General Data Protection Regulations you have a number of important rights in relation to how data is collected and used. For further information on this please refer to; https://ico.org.uk/for-organisations/guide-to-the-general-data-protection-regulation-gdpr. This policy was updated on 17/10/18 and may be revised as circumstances change so you are asked to review it regularly. If you have any questions or concerns about the above Policy please contact Emma at www.emmagholamhossein.com or e-mail emmagholamhossein@hotmail.com. Emma reserves the right to refuse any service. All Skype discussions are not recorded and Emma does not allow recording by the client of sessions whether online or via phone or in person.